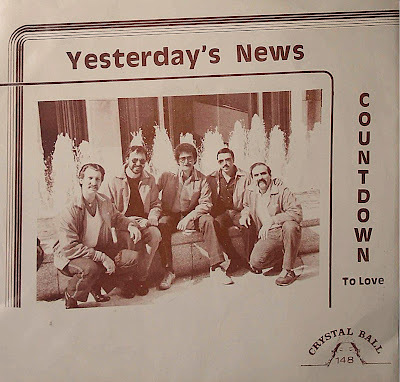 Above 1982 Yesterday's News formation,from left to right; Tony Del Vecchio,Dennis Elber,Vinnie Gallo,Vic Spina and Charlie Rocco who recorded the side_Countdown To Love(B Side instrumental version of same song by The Poppiti Brothers) for Crystal Ball Records. -Countdown To Love. 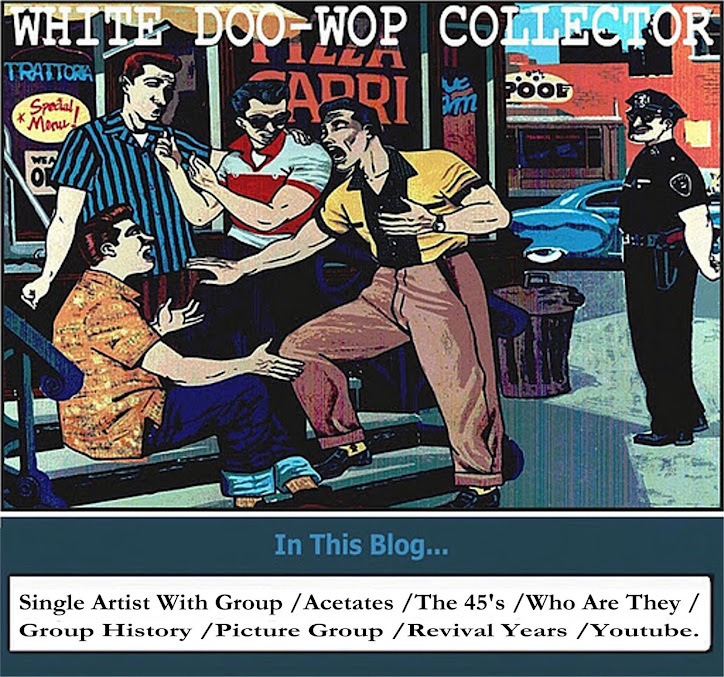 was a composition by Kenny Vance. Recorded by Greg Phillinganes on the Streets Of Fire Soundtrack. -Our Anniversary/Mickey Mouse Chant. 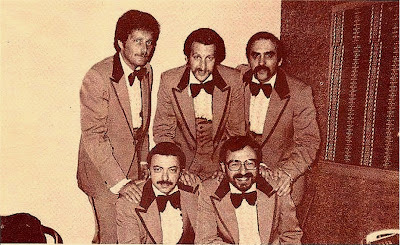 UGHA Records 1979. -Old Man River/Babalu's Wedding Day. Clifton Records-1980. -Stand By Me/Millionaire Hobbo-Clifton Records-1981. 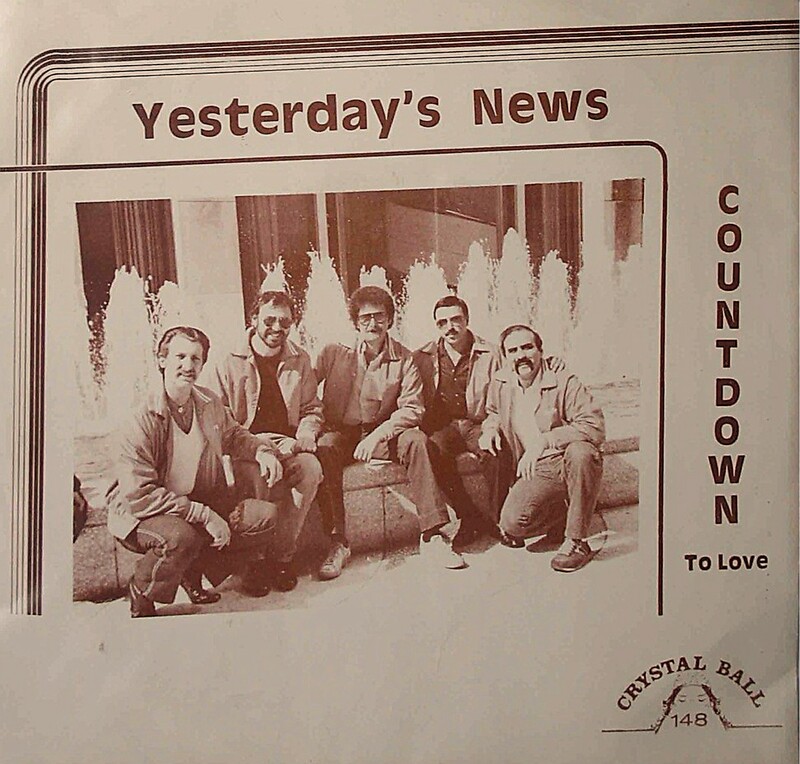 -Countdown To Love/Countdown To Love. Crystal Ball Records-1982.